 ‎it is best to leave your pets at home if you will be celebrating where there will be fireworks. Please believe me — your pets DO NOT enjoy those loud fireworks — kaboom — yikes!  Please remember that pets DO love a safe , cozy room with a comfy bed and healthy treats (yum! ), listening to soothing music, or watching their favorite TV shows or videos (pet parents may just decide to stay home too — sounds sooo comfy, cozy — BOL! ‎) PLEASE be sure that ALL windows and doors are SECURELY locked — no escapees please. 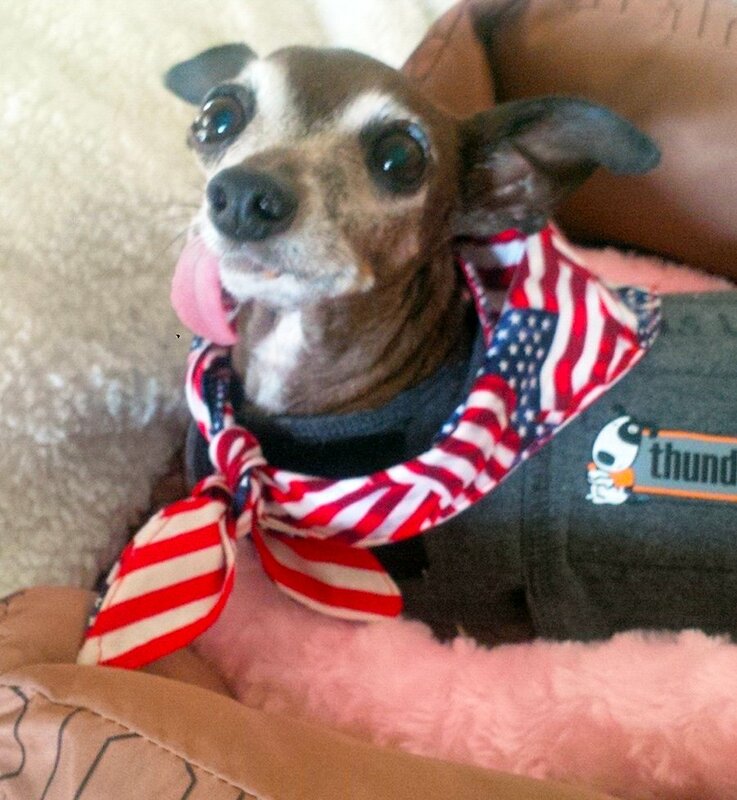  If your pets become stressed at loud noises such as fireworks ( ooohhh — i’m thinkin there are a lot of Miss Olives out there! ) you may want to consider a Thundershirt (www.thundershirt.com) and/or natural stress relievers like Composure (www.vetriscience.com) or Rescue Remedy (www.rescueremedypet.com). If your pet has severe anxiety please contact your veterinarian to discuss medications.  It’s always best to be on the safe side – you never know if your little Diva may want to do some partying on their own — so PLEASE have your pets ID tags securely on your pets collars with clearly printed current contact information. Also — VERY IMPORTANT — please be sure your pet is microchipped with updated contact information.